Child Sponsorship makes a difference. $34 a Month Changes a Child's Life ... And Yours. of sponsored children live with their parents or extended family. Gives children basic needs, like food, medicine, school support, clothing and more. Helps protect girls from child marriage. Keeps children safe from trafficking, child labor and exploitation. Support families through hardship, crisis or other life-altering circumstances. Ensures children have safe places to live by providing things like home repairs, bedding and more. Helps prevent child abandonment and keeps kids with their parents or extended families. Helps parents — especially moms! — learn skills to grow stable and self-sufficient. Provides ongoing counseling, protection and a community of support to the whole family. Gives important medical care and mobility or learning resources to kids with special needs. Supports whole communities by providing trainings, developing support networks and more. of sponsored children live with foster families, or in group homes or orphanages. Ensures children have safe, loving environments while they wait to reunite with their family or join an adoptive family. Helps kids with special needs join group homes better equipped to meet their needs. Gets children out of institutions and into foster families. Gives children extra advocacy to grow to their full potential in the love of a family. Helps teens learn life skills and stay in school, giving them the best chance for a healthy future. of sponsored children are waiting to join a family through adoption. Ensures children have safe, loving environments while they wait to join their adoptive family. Ensures children are cared for by trained, nurturing caregivers or foster parents. More than 60 years ago, Holt pioneered international adoption and began providing individualized care to children facing homelessness and hardship around the world. That experience has shown us that children thrive in families. Holt's goal is to ensure that every one of the 200,000 children in our global programs has a stable, loving home. When kids are in school, they are safe from traffickers, exploitation and learning the skills to escape poverty forever! When children have regular, healthy meals, their bodies and minds grow strong enough to reach their dreams! The cost of a doctor visit or the distance of a hospital should never prevent a child from getting the care they need! Your sponsorship gifts help your sponsored child's whole family by providing home repairs, job training and other regular support. Your sponsorship helps your child's entire community grow safer, access basic necessities, receive training and more. If your sponsored child is homeless or orphaned, you will help provide nurturing care in a foster home or other safe living environment. Be the Difference. Sponsor a Child. Transform a Life. For $34 a month, you can make a lasting difference in the life of a child by providing the food, clothing, school supplies, medical care and family support they need. How long are children in Holt's sponsorship program? Children remain in our programs for however long it takes for them to have a safe, stable home environment and for their basic needs to be met. This can be anywhere from weeks to years. Depending on the country and program, children remain in sponsorship through varying ages, often depending on their specific needs. We work with every child and family in our programs to create a sustainable, long-term plan for the future. 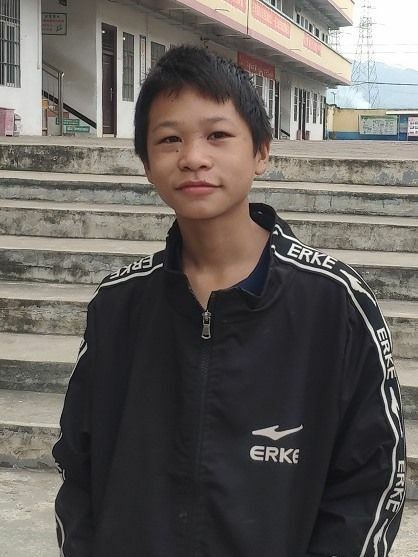 While we hope that you are able to continue to support your sponsored child as long as he or she is in our program, sponsoring a child is voluntary and you may choose to end your sponsorship commitment at any time. When your child leaves our care, we will introduce you to another child from a similar program who needs your help. To cancel or change your sponsorship commitment, call 1-800-451-0732 or email us at sponsorship@holtinternational.org. 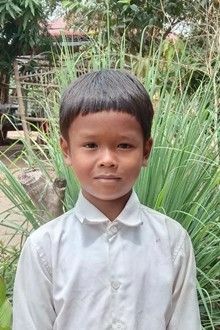 Very few of the children in our sponsorship program are on track for adoption. Most of the children we serve have one or both parents — or extended family — to care for them, but are at risk of separation due to poverty, illness or other hardships. We only seek adoptive families for children who have been relinquished for adoption and cannot be reunited with their family. 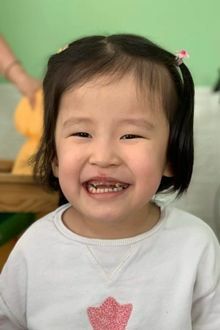 Sponsorship is not a pathway to adoption, but if you are interested in international adoption, please request free information and we will reach out to you! How often will I receive updates about my sponsored child? Every child and family in our program works with an advocate — a teacher, social worker or Holt staff member — to prepare an update 2-3 times per year. This update may be a letter, photo or drawing from your child, or a note from their advocate. And three times per year, we provide opportunities to send a message and photo from your family in return. Click here to read more about corresponding with your sponsored child. Yes! Holt qualifies as a tax-exempt nonprofit organization under IRS code 501(c)(3). We will send you a receipt acknowledging your tax-deductible contributions. How much of my contribution goes to my sponsored child? Holt International strives to maintain a low cost of operation, and in 2016, nearly 70 percent of your donation went directly toward services for children, families and communities. As God calls us to be good stewards of your donations, we are always working to increase this percentage. By opting for paperless statements and automatic withdrawal of donations, you help us cut the cost of printing and processing. Does my donation go directly to my sponsored child? Directly giving a family $34 each month to care for their child may seem like a fast and easy way to help, but this approach could actually have a harmful effect on their livelihood. Instead, we provide resources and support that help families get their feet on the ground, and then guide them as they learn, grow and create a stable future — with their children in school, consistent food on the table and the ability to consistently meet their child's needs. This approach is far more empowering and effective in the long term — a valuable lesson we've learned throughout our 60-year history of serving children. To read more about this, click here. Why do children have more than one sponsor? Because of the unique needs of the children we serve, the cost to serve each child is often higher than $34 per month. The children in our programs often have special medical or physical needs, are orphaned or displaced, and/or live in extreme poverty and difficult-to-reach rural areas. For this reason, most children in our programs receive support from more than one sponsor. We pool all sponsorship gifts, which allows us to serve even more children each year in the most cost-effective ways. You'll Change Their Life— And, They'll Change Yours! Two to three times a year, your sponsored child's on-the-ground advocate will work with your sponsored child and their family or caregiver to provide an update, new photo or colored picture just for you. Additionally, you will have an opportunity to send gifts and cards three times per year, and you are welcome to write to your child any time. Holt International has child sponsorship programs in twelve countries. Click to learn more about Holt's programs — and how you can help kids in need. If you want to sponsor a child in a particular country or from a particular program, please call us at 541-687-2202 and we can help! Kids shouldn't worry about where they will sleep at night, but too often they do. See one sponsor's story of giving a new home to a family living near Mongolia's largest garbage dump.